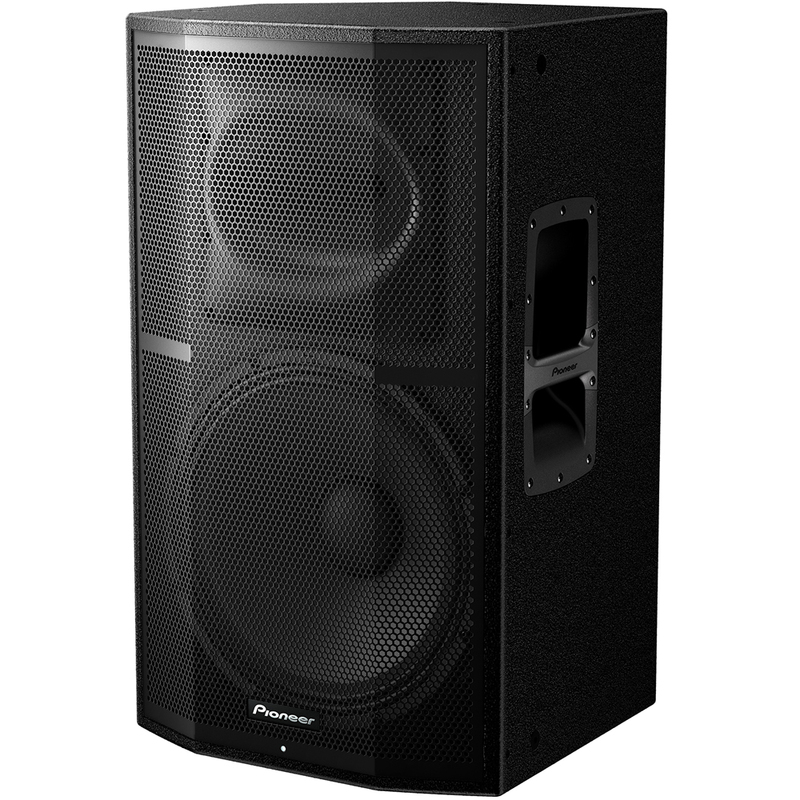 The Pioneer XPRS15 single PA speaker combines a 15-inch ferrite LF driver, a 1.75-inch titanium diaphragm compression driver and Pioneer Pro Audio’s AFAST technology to deliver crystal clear audio with a deep bass range. 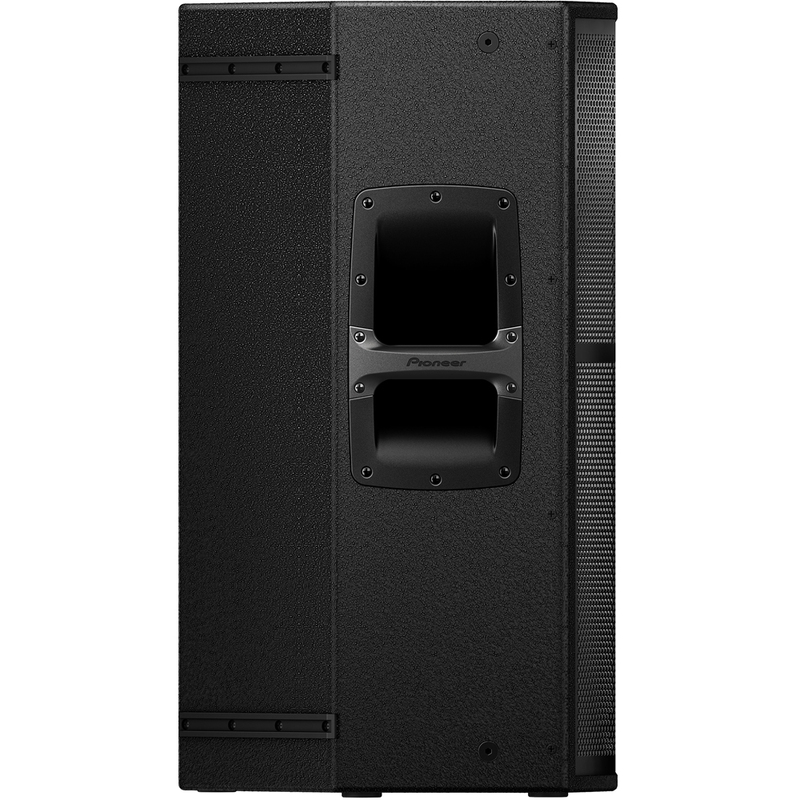 Being compact, plug-and-play and easy to transport, this speaker is a reliable partner on the road, for any venue. 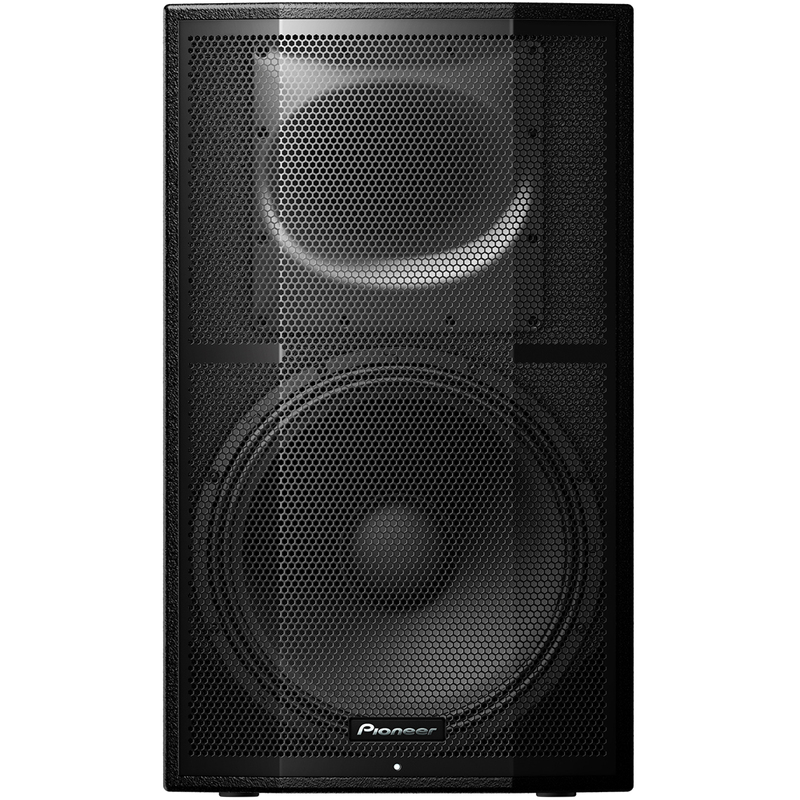 The 15-mm birch plywood cabinet, 15-inch ferrite LF driver and 1.75-inch titanium diaphragm compression driver reproduce a clean, full-range sound with low distortion, even at high outputs. Plus, the XPRS15’s compact horn sounds bright and clear. The XPRS15 speaker is packed with features to protect the drivers, amp and power supply in to Amplifier module – giving you peace of mind, consistent high-quality sound, and extending the life of your sound system. Thermal limiting: cuts off to prevent overheating. Output overcurrent: reduces the speaker’s output to safe levels in the event of output overcurrent. DC offset removal: shuts down to prevent further damage if the speaker blows. 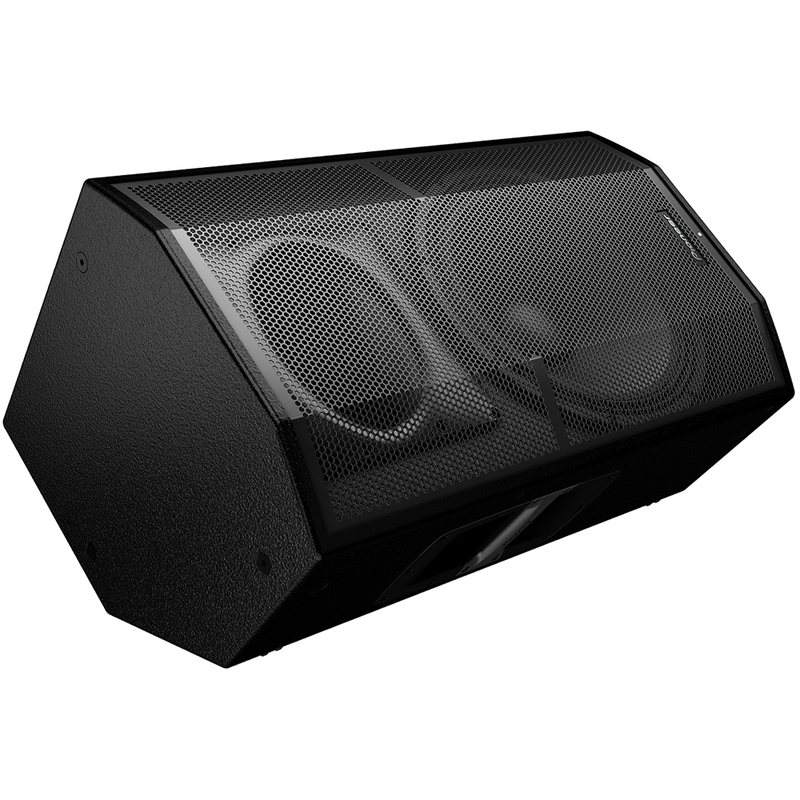 Stationary high frequency protection: protects the speaker from loud bursts such as feedback. Input voltage limiter: Peak and RMS. Output voltage limiter: cuts the LF and compression drivers separately when either reaches their peak. AC mains over-voltage protection: protects against power surges. 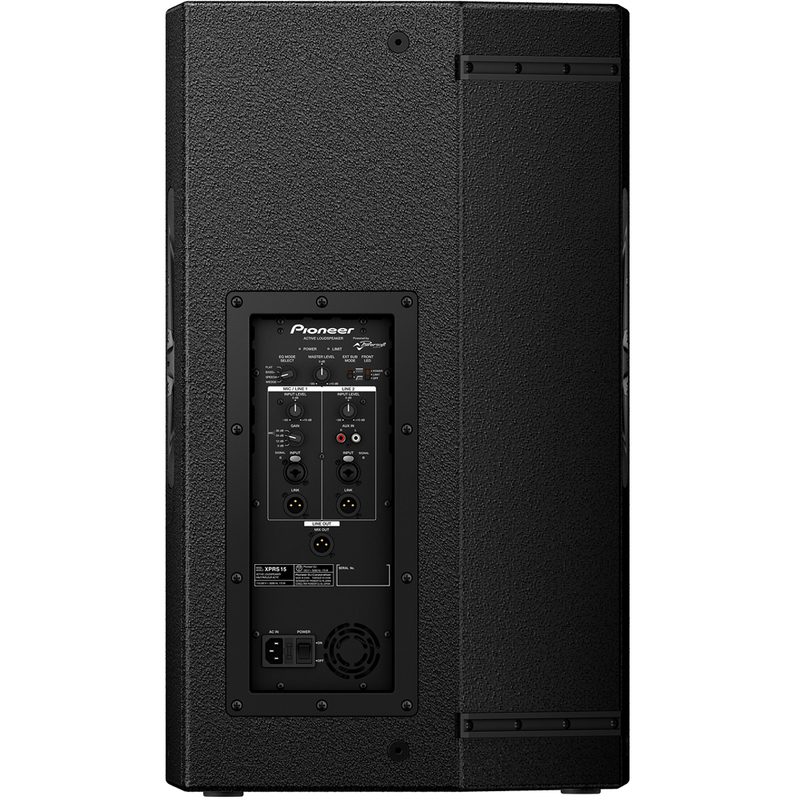 A status LED on the front of the cabinet has 3 settings – power, limiter or off – giving an optional visual reference to the status of the speaker. Place the wedge-shaped speaker as a foldback monitor on stage, use the rigging points to mount it to the ceiling or wall, or set the pole mount socket straight or tilted to 7 degrees to direct the sound exactly where you want it.